We hope fight fans are getting prepared to flock over to the Route 66 Casino & Hotel for Legacy FC 36 tonight to catch the loaded fight card full of some of New Mexico’s most talented mixed martial artists. After about a month of buzz around the event, the show co-promoted by Fresquez Productions is the first show ever promoted by Lenny Fresquez that doesn’t feature newly signed UFC talent Holly Holm atop the fight card. It will definitely be interesting to find out the staying power of the Holm headlined shows and if fans will still make the drive out to Legacy FC, a promotion based out of Texas that is considered to be one of the top feeder promotions to the UFC. 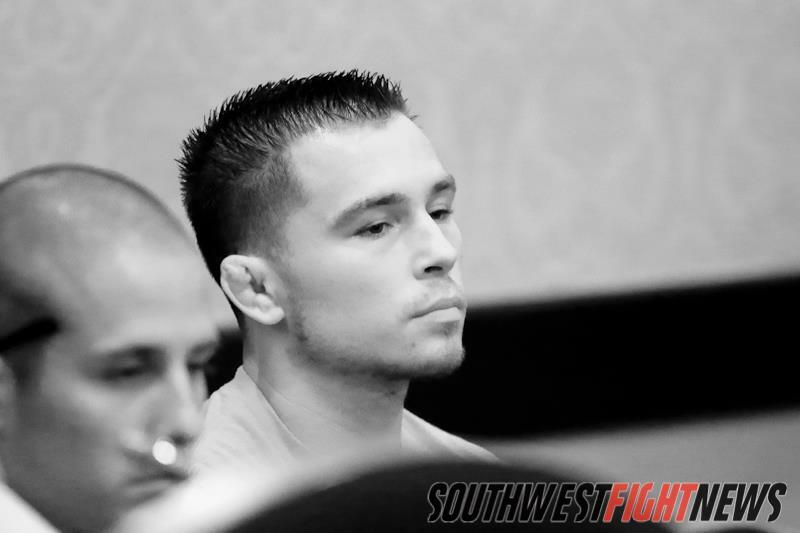 For two in-depth breakdowns on a couple of the marquee bouts read SWFight’s opinions on the highly anticipated Flyweight bout and also the Flyweight title fight co-headlining the show (click here for Barata/Espinosa and here for Page/Hall) and before you make the drive down I-40 to the casino, let SWFight help you get excited for the event. 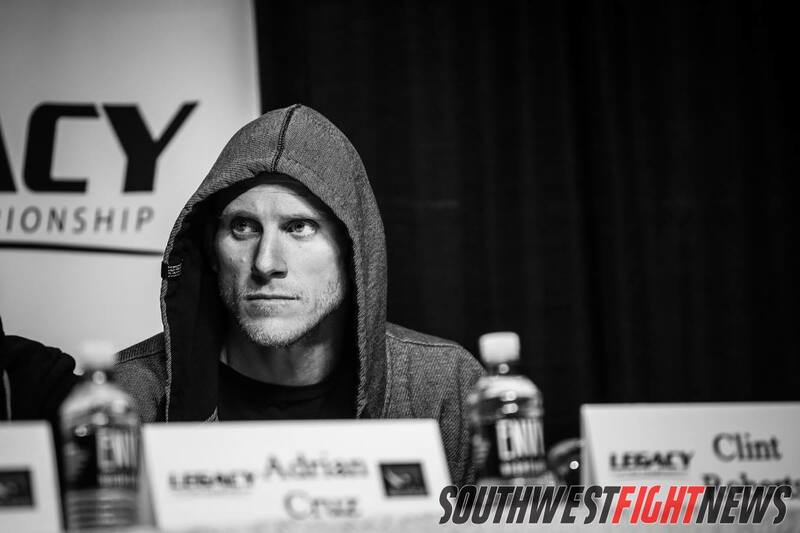 In today’s featured article we breakdown all the main topics from tonight’s Legacy FC 36 event. It is never fun to talk about the regression of a local fighter, even more so a fighter who helped build the very foundation local MMA stands upon today but Lenny “The Godfather” Lovato (8-3) has fallen onto some very bad times. Dropping three in a row dating back to 2010, Lovato has not only been stopped via strikes in each of those losses but he has pulled out of many others, missed weight for his last Legacy bout and came in out of shape against Blas Avena in his lone Bellator appearance. Clint Roberts (5-3) is actually coming off a very impressive stoppage victory where a cut forced a doctor’s stoppage. Winner of three of his last four, you may wonder why Roberts is in a “must-win” predicament. Roberts in his lone loss during the span of four fights was for the Legacy promotion on AXS TV in a bout that saw Roberts seemingly tire quickly and be submitted by his opponent. A loss would tread Robert’s dangerously close to a .500 record and that kind of result wouldn’t be indicative of Roberts’ talent level. If Roberts is poised to make a run at the big league, which is talent level should definitely allow, a loss tonight would create an enormous obstacle to overcome. For Lovato, a loss means four in a row and the hard discussion of retirement has to be brought up. His first fight took place in 2007, seven years ago and a loss may indicate that the sport has simply evolved to an unobtainable level. A win tonight is invaluable for both men. Pushing his record to 6-3 can prepare Roberts for another marquee bout and it would only be a matter of time before Roberts is on the radar of the big shows. One step closer to leaving the regional circuit if on the line for the Mike Winkeljohn product and it couldn’t be more deserved as Roberts has seemingly been on the wrong end of several unfortunate events including canceled bouts and opponents missing weight. A win for Lovato may be most important on a personal level as it would end the three fight skid and turn around Lovato’s career. Showing his ability to beat a extremely talented Roberts would emphatically display that Lovato still has plenty left in the tank and could escalate his status in the regional circuit as a fighter to keep an eye out for. If you thought only one Brazilian Jiu Jitsu Ace was on this fight card (Barata) you wouldn’t be more wrong as Michelle Nicolini (2-0) is a true Goddess in the realms of elite level grappling competitions. Her presence on the card may be one of those situations where the audience is treated to a young fighter and down the road will recall the moment as she is on the track to become a true star in the sport. Norma Center (2-1) has other plans for Nicolini as the wrestling-based fighter might have the recipe to stifle the Jiu Jitsu arsenal of her counterpart. With her lone loss coming to highly touted TUF competitor Joanne Calderwood, Center is quite the prospect as well. 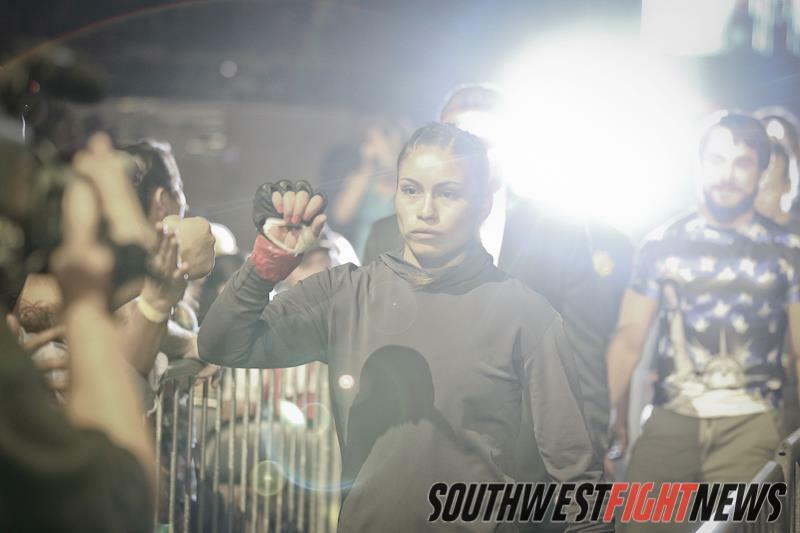 Having spent time at the Jackson’s MMA gym here in Albuquerque, Center will be the local favorite and will need to bring her A-game against a dangerous grappler in Nicolini. The women will compete in the Strawweight division, a weight class currently being developed by the UFC. With the hype surrounding Nicolini, the implications of the outcome are high-stake. While grappling enthusiasts will tell you Nicolini is prepped to strangle Center tonight, people close to the Center team will say she has never been in better shape and that this could be her finest performance to date. Donald Sanchez (29-14) is a fighter that can be labeled in dozens of different ways; he could be called one of the most successful fighters with 29 wins, one of the most durable with 43-fights to his name, most popular as he not only has a large fan base but gained notoriety as the King of the Cage Champion, and he can also be called one of New Mexico MMA’s pioneers as he has fights that date back to 2005. Sanchez dropped his first bout after leaving FIT NHB for the Jackson’s MMA gym in one of the more high-profile defections in our area’s history, Sanchez is looking for his first Legacy FC victory in his Featherweight bout against Charles Cheeks (7-3). The aggressive striking Sanchez has been in the cage with the likes of Hatsu Hioki and Tatsuya Kawajiri but has not logged a “W” since July of 2013 and if the ambition is move past the regional circuit than Sanchez needs a victory tonight to right the ship and set its sails towards that goal. Sanchez is definitely one of the most successful New Mexican fighters to ever not reach the UFC and with an extensive record and strong reputation, a series of wins should get him to the sport’s biggest stage. Cheeks is a hit-or-miss as he track record indicates that when Cheeks is on his game he can smother you to a decision or grind you out until a submission opening presents itself or in the fights he has dropped, he is susceptible to being submitted or grinded out to a decision loss. The more striking eccentric Sanchez should test his durability and present the unique challenge of fighting someone who will come forward for the entire 15-minutes. The state of New Mexico hasn’t really produced too many elite caliber locally grown Heavyweight talents but of them all, Cody East (8-1) may arguably be the best. “Freight Train” stays true to his nickname as the Los Lunas representative as he tends to wreck through his opponents with brute strength and very impressive speed and agility. Amidst a five fight win streak, East has stated his eyes are on the UFC and a win tonight would definitely help his cause. 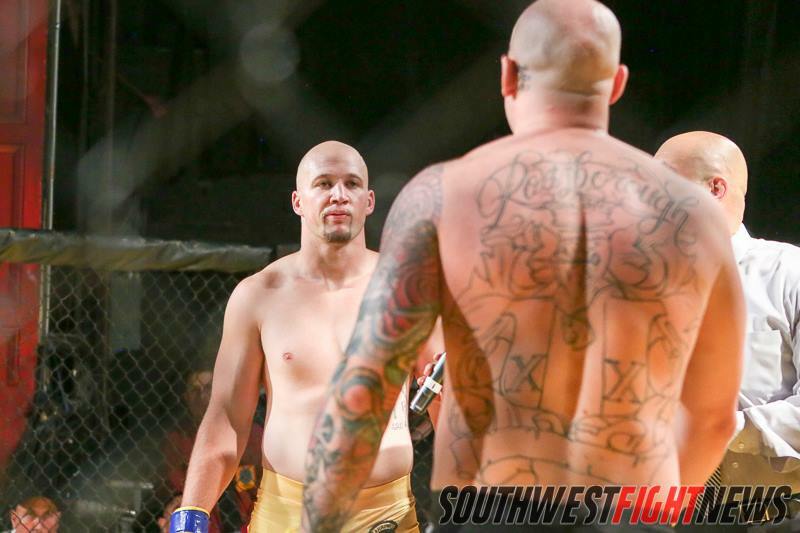 One half of the fighting East Brothers (Tyler is also a successful Heavyweight fighter), Cody is the former King of the Cage Champion and despite contract disputes really earned his name fighting for the promotion. Even though in-the-cage fighting isn’t the only prerequisite for getting into the UFC, a win over opponent Vernon Lewis would notch East his second win fighting for Fresquez Productions and could be the next big story coming out of New Mexico’s fight scene. Lewis (4.2) is an imposing foe who has won his last three by TKO and four overall since dropping his first two professional bouts. The Waco, Texas fighter is looking to play spoiler and could present East with his most formidable opponent since East suffered his lone career loss to Tony Lopez. Whatever the outcome, the Heavyweights usually get the crowd on their feet in excitement! Tickets are still available at the Route 66 Box Office or at the Fresquez Productions office which can be reached at 505-884-7484.